The TARDIS has picked up a strange signal and the Doctor has followed it all the way back to the planet Mekalion. But Mekalion holds a secret, this is the planet of the long dead Kamille. They lived for a thousand years. But then the sun set on their lives but while their bodies may have died, their minds lived on in the Locus, a device made of a mind-scape. In their absence they created robots to tend to the planet and act on their wishes in the mind-scape. And these servants were called Kamelion. Oh, Kamelion, poor, poor Kamelion. His inclusion in the television programme proper was problematic from the beginning. From the moment he was used in the studio, the robotic prop wouldn’t work properly, with co-stars, Peter Davison, Mark Strickson and Nicola Bryant all going on record to say how difficult the robot was to work with. It is clear how much time and thought has gone into bringing Kamelion back and it seems strange to talk about what was essentially a relatively cumbersome robotic prop in such a familiar tone. But while Kamelion lacked K-9’s dog-like appearance, he was a rather interesting character, at least in his debut adventure, mainly due to the voice work undertaken by Gerald Flood. And it is clear that the writers and producers have put a lot of thought in the overall story to bring Kamelion back into the Doctor Who universe. Throughout the previous two adventures, a lot of time and effort has been put into making Kamelion a million times more interesting than he ever was on television and that doesn’t change here with author, Jonathan Morris focusing on the reasons as to why we never see or hear from Kamelion again from The King’s Demons till Planet of Fire. 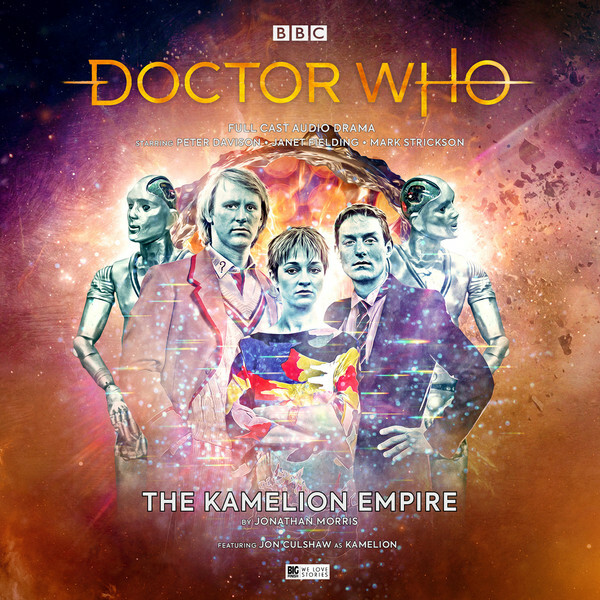 But before we get onto that, The Kamelion Empire is another great entry into the range with Big Finish. Morris’ script is excellent with plenty of twists and turns, some of which you won’t see coming and some of which might prove to be a little predictable. Ultimately though, my favourite moment in this play is from the cliff-hanger to episode 2 with Kamelion having been taken over by another robotic influence. It is a great moment and Jon Culshaw delivers the line with just the right amount of shock and menace to make sure we move swiftly onto the third episode. It must be quite liberating writing for a character like Kamelion who never got to be explored on television and as such, wasn’t bound to the same limitations to character and continuity as every other inclusion in these stories. And the Kamelion we have gotten on these three audio adventures is miles away from his strange television counterpart. Through the course of these three audios, we’ve got the chance to hear him forging friendships, albeit uneasy ones with the TARDIS team and saving lives. He helps Tegan and forges a strange bond between the pair in Devil in the Mist and helps the Doctor to save lives and learn about the hardships of grief in Black Thursday, one of the most powerful stories out there, especially about that particular subject matter. It has been really interesting to hear him getting a handle on human emotions. He is curious about Tegan’s hostility and Turlough’s unease while the Doctor is willing to give him the benefit of the doubt. It has been great to listen too. It comes as little surprise to me then that Morris gave Kamelion another sad final line – “I doubt I will ever see another moonrise...” If only Kamelion had known then what would happen to him at the end of Planet of Fire… You really will want to give him a big hug. 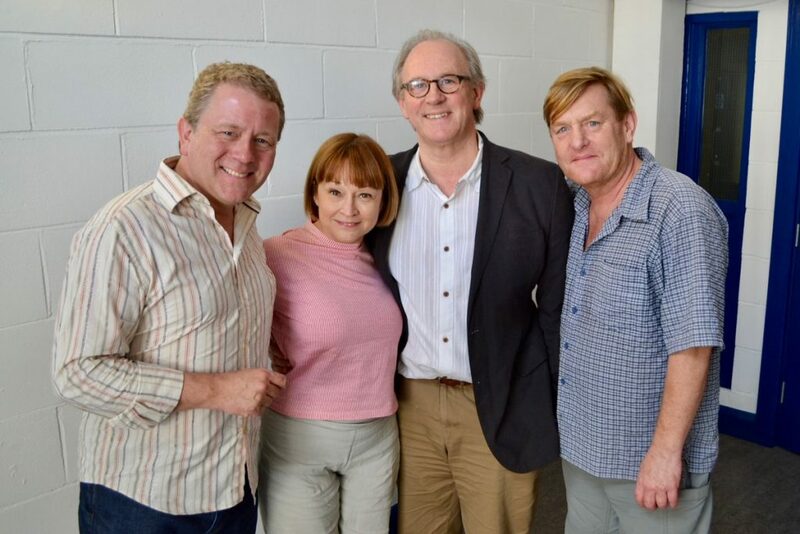 Jon Culshaw, Janet Fielding, Peter Davison and Mark Strickson at the recordings for the new trilogy. Jon Culshaw is also one of the main reasons why Kamelion’s revival on audio has worked. While giving the character elements of Flood’s original performance, he gave it his own spin, allowing the character to stand out on his own and not have to conform to the original television persona. Culshaw’s performance across all three stories has been particularly impressive but here, he definitely gives his best performance, not only playing Kamelion but all the other robots on the planet, and he also gets the opportunity to play the baddie, something that he is scarily good at! Chaos is a brilliant character and Culshaw seems to relish the opportunity to really let rip and be really evil! And for fans of the classic era, there is plenty to enjoy here as Morris makes sure he litters the script with little nods to previously established things. We’ve got the food machine with its glorious beeps and whirrs, the wooden secondary control room, used by Tom Baker for a short-time, as well as the engine room, disguised as the art-gallery from The Invasion of Time! Its all wonderfully done! The main cast is also on fire here. Being a four-hander, the main cast really gets the chance to shine. Peter Davison has never been quiet about how he felt about the original Kamelion prop, but it is wonderful to hear him working alongside Jon Culshaw and the pair have great chemistry. Davison races through the script, never letting slip that he probably doesn’t understand what is going on, something he often mentions in the CD extras! Davison will always be my favourite incarnation of the Doctor and performances like this will always prove why that is the case. He is never not caring, he is kind, compassionate, even when facing some really vile alien threats and will always, always do the right thing. Mark Strickson is brilliant, getting some rather funny moments when we meet the new inhabitants of Mekalion and he succeeds at negotiating a peace between himself, Tegan, who they want to sacrifice as a way of winning the battle, and the strange creatures! Stickson has always been a welcome presence in these adventures and I always look forward to when a new trilogy with him involved is announced. Janet Fielding has really shone in these three adventures, as the writers really explore why Tegan is so untrusting of Kamelion. In fact, this story gives us some pretty valid reasons as to why she was right to keep her distance. Its no secret to anyone who knows me that Tegan is my favourite companion in all of Doctor Who’s history and any story where Janet Fielding is involved is going to be a classic. But she has really stood out in this trilogy. I can’t wait to hear more from Janet in the near future! With references aplenty to previous and future Doctor Who adventures, one might think that Jonathan Morris has bitten off more than he can chew. But that isn’t the case, as he mixes the past, present and future with the ease he has shown us how to do it in the past. I always look forward to a Morris script. Ken Bentley who directs this story has a done a damn good job too, allowing the story to really rattle along at an enjoyable pace and making sure we don’t miss a thing!